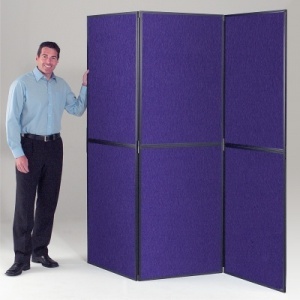 XL BusyFold Light 6 Panel Folding Display System - Lightweight folding panel system, panels come in a choice of either a durable black or grey PVC trim. 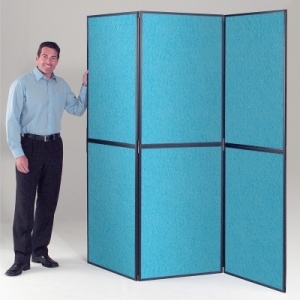 Top and bottom panels are linked with flexible hinging and clip on top of each other for easy assembly. All panels are double sided and come in a choice of 14 Loop Nylon Fabric finishes. The display panels accept Velcro and Pins. 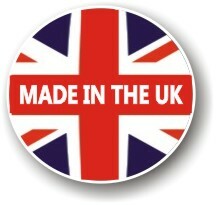 The loop nylon fabric is Fire Retardant to BS5867. The Extra Large version of our popular BusyFold Light Folding Display Systems come with larger 1000 x 700mm Panel Sizes.